No Surprise here! 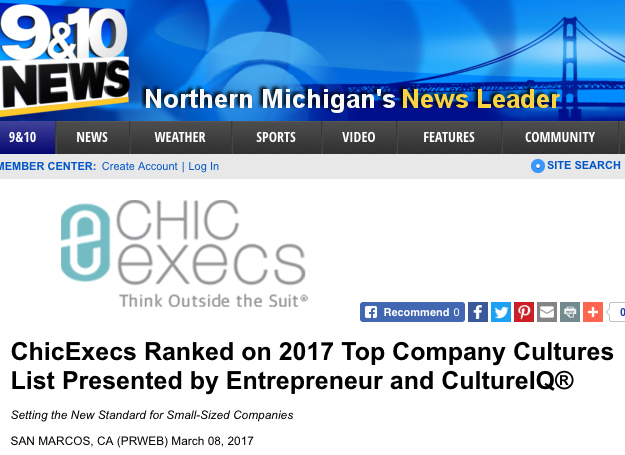 Chic Execs made the list of 2017 Top Company Cultures – featured on 9 & 10 News. Chic Execs was ranked 35th on the Small Companies section of a list comprised of 153 companies total.